Could Weight Watchers help April? It’s no secret that I’ve been struggling with losing weight for a very long time. I know what I need to do. I need to “eat right and exercise” and I DO. But then I get in these moods that make whatever willpower and determination I thought I had just disappear. The week before Thanksgiving, as I was being quiet and not blogging, I was participating in a five-day online challenge. It was suggested by a friend from high school and I willingly accepted knowing it would be good for me. I’ve been desperately needing a boost to get me going in the right direction and the challenge definitely helped. I was supplied with meal suggestions and a shopping list – which I went out and got all my groceries… but then as an example of loss of determination, I got lazy and made up my own meals instead. But the best part of the experience was the online Facebook group. Every day we had to check in with how much water we drank, what we did for our exercise, what we ate, and how we were feeling. Having the obligation to check-in daily really made me want to do well and I found it much easier to reject my poor habits. Seeing directly all the experiences all the other people were having made me have more faith in myself and my ability to stick with it. And that’s why I’m thinking about joining Weight Watchers. I’ve written off companies like Weight Watchers because I’ve always believed I could do it on my own. However, when I lost 50 pounds before, I was not alone in any way. Working at an all-women gym, I had the support of multiple women all striving to do the same thing as me. It was awesome, it was a group of friends who all had the same goal. I have that now but in a different way. I have a lot of people in my life who are on this weight-loss train with me but I still struggle with keeping my determination because I have no real pressure to drop the pounds. I have no bridesmaid dress to fit into, no magic number I need to get under by a certain date… I need that pressure because, unfortunately, being under pressure is how I work best. So I have this theory that going to the Weight Watchers meetings would give me the type of pressure I need. If I knew that every week I would be having to talk about my progress, in person, and step on that scale and share that joy or pain with a group of others – maybe I could finally take that weight off. I’ve already got such a great support system here on the internet but now I feel I need more of it in-person as well. I think I might sign up for my first meeting next week. Have any of you done Weight Watchers before? What did you think of it? 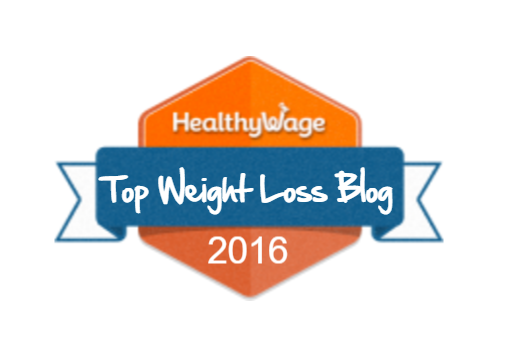 This entry was posted in April Post, Weight Watchers and tagged diet, meal plans, weight loss, weight watchers. I think it doesn’t hurt to try! I agree with Emily — it’s an awesome program for a LOT of people. For me, the plan just didn’t work exactly right with my pcos considerations, but I’d still try it again knowing what I know now about needing a low carb plan. Weight Watchers was what I used when I had my wake up call and shockingly enough it was near Thanksgiving a few years ago. I went for quite a while and the meetings helped. I think if you have the right people in the meetings/people that want to talk and share then that’s really helpful. How about you stop dieting all together? You definitely should, ‘cuz they don’t work. I mean seriously, just based on that alone, why would anyone ever and I mean E-V-E-R wanna be involved with them o.O? I mean it makes sense calories in/out you eat more you gain weight, UNLESS you factor in the hormonal reactions of your body. Because then giving this eat less/exercise more advice is irresponsible and insensible. Philip, great points. I always have to remember that weight loss businesses are, well, a BUSINESS. So of course it’s in their best interest to make money off you – and if you lose weight and keep it off, great, but if you gain it back, you’ll come back! Not saying that’s what Weight Watchers or anything else does, but it’s great food for thought. Thanks for your thoughtful comment. Weight Watchers works and that’s why I continue to go back to it. I wrote a lengthy post on Monday comparing my experiences with WW vs calorie counting. I love the group atmosphere and the accountability. In my opinion, it’s one of the healthiest weight loss programs out there. Worst case, you try and don’t like it. WW is great! I lost 20+ lbs on the program and would have stuck goal if I had stuck with it… since I was losing weight I thought I had it all dialed in… sigh :). It really does prepare you to eat in the real world. I’m back on it now. If you do get it and use the Etools, look me up! My username is LeafyGreenJess.